Against a backdrop of sunshine, beaches, culture and gastronomy, the Balearic islands are prescribing medicinal additives to visitor experiences. From preventive medicine, dentistry, ophthalmology, sports physiotherapy and fertility to dialysis facilities and increased medical services, the islands have plans to open the doors to wellness and health tourism. Tennis star, Rafal Nadal is leading the way with sports rehabilitation as well as a champion training academy with an impressive centre on the eastern side of Majorca. As a native resident he opened the centre in June 2016, designed for aspiring young players as well as adults offering stylish accommodation for its range of residential programmes. His museum is also well worth a visit. There are a number of private hospitals on the island of Majorca. The Hospital de Llevant in Porto Cristo is the only private hospital on the eastern side, with multi-lingual staff and a range of specialists to meet seasonal demands. Built originally as a retirement residence, the rooms are generous in space, complete with sea views and balcony. Here there is a separate building for the new Porto Cristo Dialysis Centre, one of several specialised, well-equipped dialysis clinics with professional medical teams which are encouraging patients to travel to Majorca for that well-needed break where scheduled treatments can be combined with interesting, cultured itineraries in a sunny climate. Other hospitals on the island include The Clínica Rotger, which is part of the Quironsalud group. It is modern and well-equipped with six consulting rooms located around Majorca. The hospital recently introduced new services in oncology, dermatology, and dermo aesthetic treatments and has a fifth floor to make any patient feel better with views over Palma and contemporary art dotted around. Clinica Juaneda is a multi-service hospital with 90 specialised doctors covering all medical specialties and a dedicated international medical centre. And with the increasing international demand for assisted reproduction, Majorca has a modern IVI clinic. On the island of Ibiza, the Policlinica Nuestra Señora Del Rosario has 70 rooms, an intensive care unit, emergency room and three outpatient centres on the island with more than 40 medical specialties and two physiotherapy and rehabilitation centres. And with celebrities frequenting the island, its VIP area is independent from the hospital and benefits from a private entrance. Trendy destinations attract the fashionable & health conscious traveller who wants to look good all year round. Private, certified aesthetic clinics, managed by registered professionals are catering for this growing market so the health tourists can feel assured they are in safe hands. On the island of Ibiza, Eiviluxury, a small, compact clinic offering the latest, fashionable treatments for its party-going stylish clientele who frequent the island’s rhythms especially in high season or reside in their second homes. Led by Dr. María Bufí, the variety of treatments include heavy metal body checks, ozone therapies, gynaecological treatments, hair implants and varicose vein removal using the latest technology performed by visiting doctors who are experts in their field. The Eiviestetic plastic surgery and aesthetic medicine centre, part of Policlinica Nuestra Señora Rosario, also offers a safe answer to aesthetic treatments ranging from tattoo removal by laser, intimate wellness and the new Profound System, a one off non-invasive lifting treatment. Health blended with a generous dose of tourism makes for a good holiday remedy while regional colourful cuisine serves up healthy Mediterranean flavours. Restaurants in Palma such as Cuit and Fabiola Gastronomic Garden are fine examples while Can March in Manacor is a rustic family inn, popular with the locals. 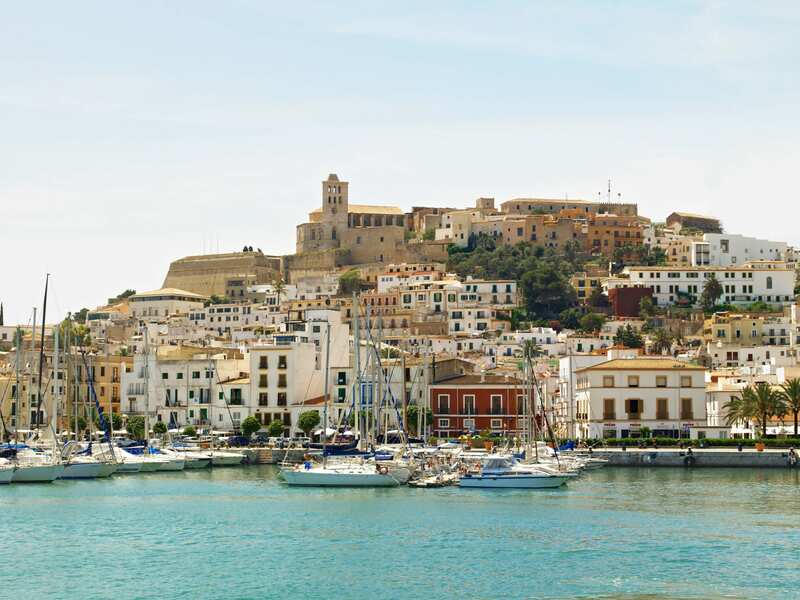 On Ibiza, you can dine in one of the oldest restaurants at Restaurante Ca N’Alfredo in its centre or at Calma which enjoys views over the marina. There is a good choice of accommodation in season such as the Valparaiso Palace and Spa which commands enviable views over Palma Bay. 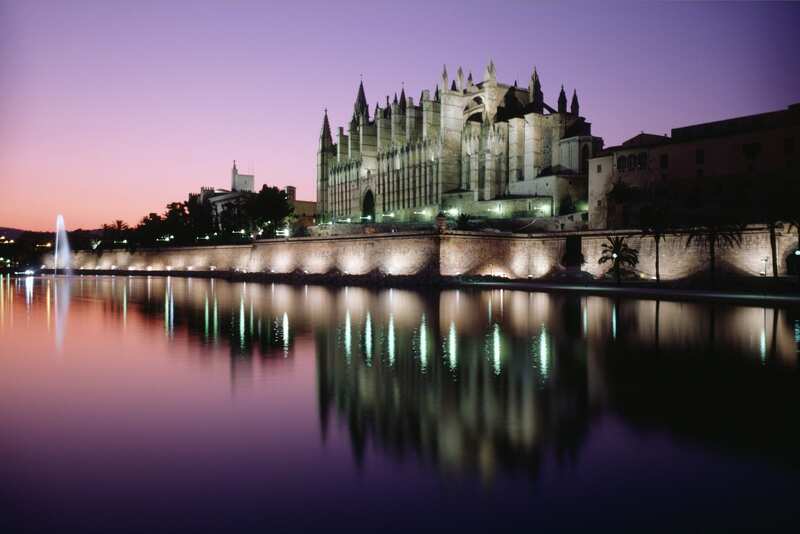 Majorca is the largest of the Balearic islands with Palma as its heart. Here you can delve into its history by strolling along cobbled lanes, passing hidden courtyards with glimpses to imperial staircases and buildings proudly displaying their signature coat of arms. Overlooking the sea is the imposing ornate Gothic Cathedral with a vast rose window and wrought iron canopy by Gaudi. Away from Palma is the pretty village of Valldemossa set in the Tramuntana mountains and worth the short drive to enjoy the alley ways, stone houses dressed with hanging flower baskets and the 13thcentury monastery where the musician Chopin stayed. A trip to Porto Cristo leads to an enchanting harbour with coves and caves and the world’s largest underground lake system. 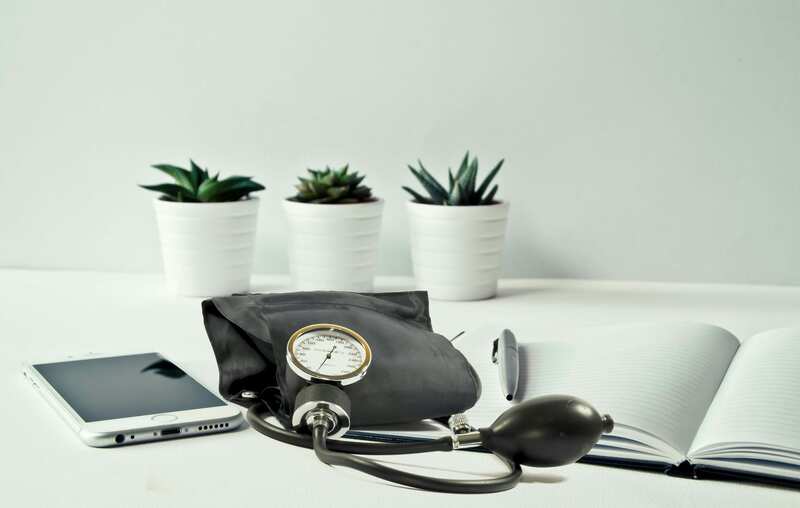 The islands, favoured by many British holidaymakers, are forecasting a healthy future as the trend increases in medical and wellness tourism. Watch out for the healthy glow around these islands and the added restorative and medicinal tonics to holiday experiences. There’s more than fiestas and siestas in the Balearics.